I've been admiring the simple and stylish ads from DBBW, a small furniture company based in Brooklyn, for a while now. All the pieces are handmade and given a great deal of attention to detail. 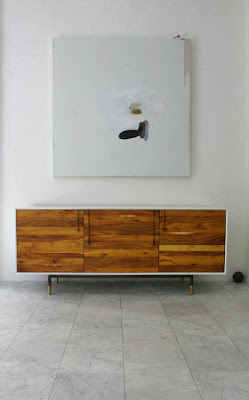 I can't wait to decorate my own apartment with the Lake Credenza (shown above).